Sawing bar or tube is a machining process that all too often leaves the operator to decide the speed of the blade and the downfeed rate, which means it is the operator who dictates the cutting efficiency and, therefore, the actual cost. However, as DANOBAT is demonstrating at BIEMH 2014, it is possible to take the guesswork out of the process and to achieve significantly improved production rates as well as longer blade life. DANOBAT’s range of heavy duty automatic horizontal bandsaws offers a maximum round cutting capacity of up to 1100 mm. All models in the range are designed to cut difficult materials such as Inconel, Hastelloy, titanium and stainless steel as well as mild steel. The machine on the stand at BIEMH 2014, has a cutting capacity up to 660 mm x 660 mm and achieves a blade speed of 18-150 m/min courtesy of an 11 kW main motor. In addition to an enhanced sawhead design, the HDS 6A also features the latest version of the intelligent cutting system iCS. Described as ‘satellite navigation for bandsaws’, iCS enables the user to select, for example, the relevant material type, grade, shape and dimensions, and then to leave the machine’s control system to set the parameters in terms of cutting rate and blade speed. Although most material specifications are pre-programmed into the system, it is possible for users to override these parameters and to add other material groups if required. It is also possible for access to the intelligent cutting system to be restricted via a password to designated individuals in order to avoid unauthorised changes being made to NC programs. 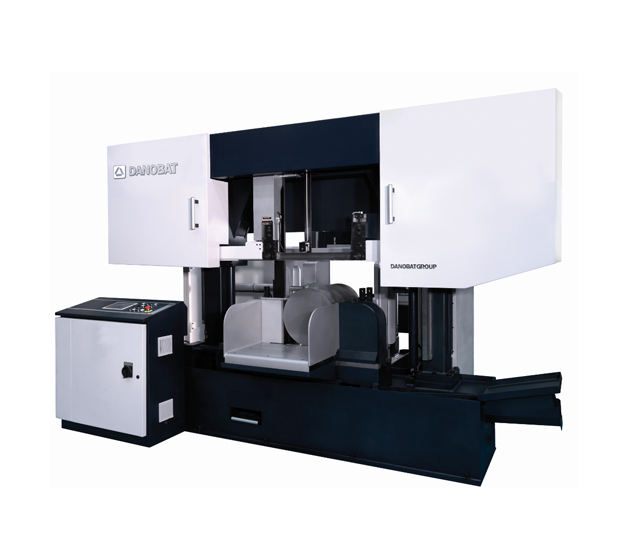 To avoid premature failure of the blade, whether it is bi-metal, carbide or a new blade, the DANOBAT system allows the perator to input a specific make of blade to ensure that the correct running-in procedure is followed. An intelligent blade deflection monitor will also slow the feed and blade speed, so as to maintain a square cut.